Whether moving to a new city, moving into a different home, or transitioning business into a new office space, a move of any kind always brings up one tough question to answer – “Where am I going to put all my stuff?” Before unloading on Craigslist or leaving everything out on the curb, consider that US Self Storage Locator can help you find storage units so that you have a place to keep everything you need, for as long as you need. US Self Storage Locator.com (USSSL) is an online storage directory and renting platform. Customers can search a database of over 5,000 facilities and over 2 million storage units, then make reservations onsite. Facility owners can advertise and rent their units, while managing storage facilities with real-time data synchronization. 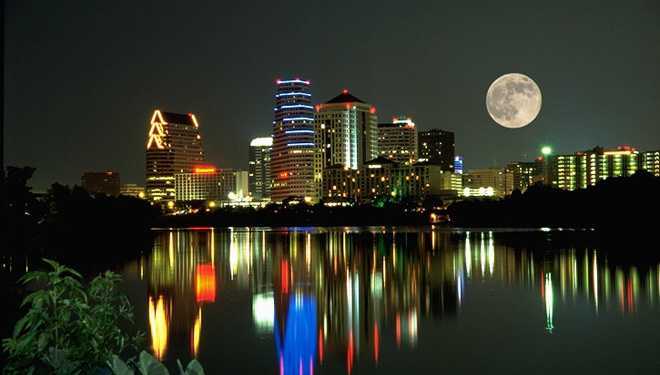 So your startup has been invited to join an incubator in fast-growing Austin, Texas. Great, but what if you’re not sure if it will become home permanently? Where will you keep everything in the meantime? Or maybe you’ve been able to grow your company in a time-flexible, shared work space, only now you have more files and equipment than you know what to do with? Our mobile society can be a blessing or a curse largely depending on how easy it is to move and store our stuff. USSSL is a handy tool for finding temporary and long-term storage anywhere in the United States. One way to think of USSSL is like a Hotels.com but for storage units. Search for space by city, size, zip code, or storage type. Integration with Google maps makes it easy to pinpoint the location of facilities. The site’s format offers a quick and easy way to compare storage options. The basement at Mom and Dad’s is seldom as good of an option as it first sounds. Lots of problems may arise. USSSL provides valuable storage information regarding different facilities, addressing a wide variety of individual requirements – often not even thought about until too late. While self storage might be the most in demand, USSL accounts for different storage needs. For owners of storage facilities, joining the USSSL directory is a good way to improve online presence. Software integration makes it easy to manage multiple listings and enables customers to make real-time reservations. Email notifications and active analytics help businesses communicate with prospective renters in a timely manner, boosting sales conversions while saving on expensive marketing. USSSL offers monthly memberships or pay-per-performance plans. For more membership details, visit here. 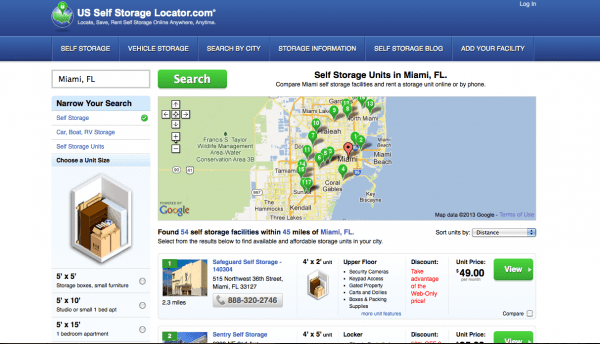 US Self Storage Locator is based in the Miami / Fort Lauderdale area. 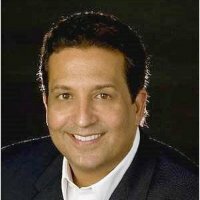 In addition to serving as CEO, founder Victor Dante has worked as an attorney for almost 20 years, heading his own firm that specializes in serious injury and car accident claims. Visit USSSL here for even more storage tips and advice.